On the opening day of Orchis, the mayor of Providence Angel Taveras issued citations to the collaborators on the Orchis project. Due to a spelling error, my citation had to be redone and I have received it recently. I want to share it with my family, friends, and readers and thank Mayor Taveras for his kind gesture. I am honored to have received this citation. 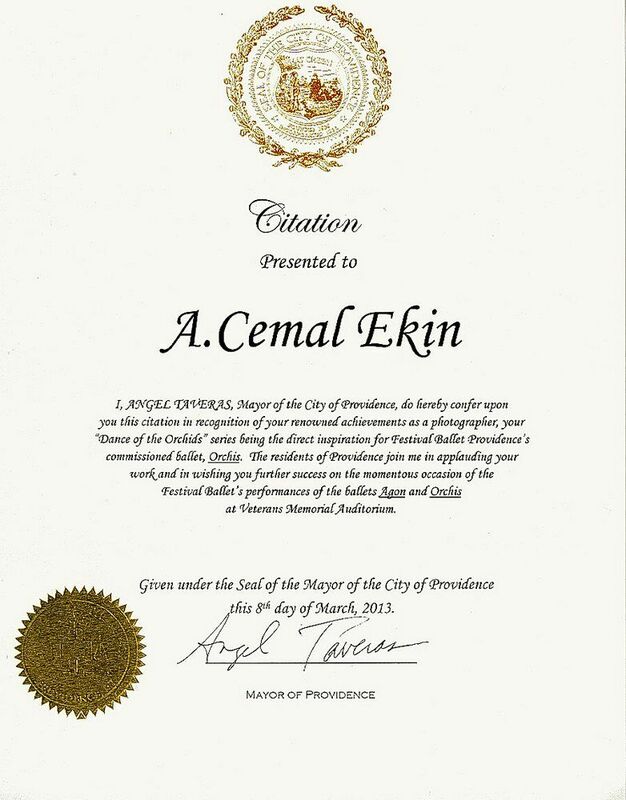 Cemal, if I had my way you would receive a Presidential Citation!! The state should also recognize your talent – we need more people like you. Thank you both very much for your kind words. I appreciate it.